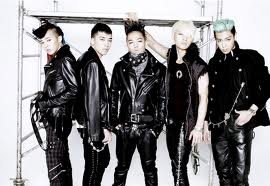 Big Bang is a Korean boyband that is famous for their hip hop music, rap and dance. I supposed the KPop fans were excited that Big Bang member G Dragon Asia world tour stops at Singapore. I was excited about the concert too, however, I am not a die-hard fan of G-Dragon. Those who read my posts will know that my bias is Kim Jong Kook and Running Man. Despite that, we still got the tickets online. Thanks to Iceprinxessa who offered to get the tickets for us once they release the tickets at sistic. My friend who is so enthusiastic about the concert persuaded me with an offer to top up the concert ticket to Category A. I managed to upgrade my seat with my friend. In the end, I managed to persuaded Iceprinxessa too. Since it we have not get to experience a concert performance in category A, we might as well give it a try. We arrived early at Singapore indoor stadium and we saw many fans queue up at the counter to buy the G-Dragon items. My friend took a purchase list at the counter and she intended to purchase the crown light sticks but we did not managed to get it and we were asked to go in and be seated down for the concert. The stage design was good and we were shown a short video of G-Dragon before he appeared in a translucent car. The atmosphere hits its highest when he started to sing his first song. To get into the mood, we stood up and move to the music. The audiences and his die-hard fans who were standing near the stage were screaming with excitment as he performed on stage. Although I am not very familar with his songs, I sort of heard his songs before and I was able to sing some lines. It was party time as G-Dragon move the crowd with his famous songs such as bad boy, one of a kind, heartbreaker and crayon. I was impressed with the fireworks, lightnings, sound system and the cheorography. G-Dragon has his own unique style and stage presence which was presented during the concert. He gamely interacted with the fans by coming close to the stage and walk way. He even posed at the camera so that the fans can see him on the big screen. Being a professional artise from Big Bang, he was able to manage the show and keep it lively by moving around the stage and stop to greet his fans. I love the special performance of the drums and that was the hightlight of the day. I do think that G-dragon is very talented in music and he is able to hold a tune although he rap most of the time. The special guest girl band 2NE1 was awesome and all of them were able to dance very well. I was actually very impressed by their performance and energy on stage. They were able to speak English and during their performance, they did converse in English. In my opinion, 2NE1 has their distincted style and attitude which set them apart from other girl bands. I like the visual effect and the design of the stage. D-Dragon was enthusiastic all night and he keep posing at the camera when he climbed up the stairs. All i can say is that the visual effect was beautiful and i can't take my eyes off the stage as i waited in anticipation for some surprises. The video graphic was wonderfully made and it matches the atmosphere of the song.